HANK PHILLIPPI RYAN: Book tour is so crazy/wonderful/exhausting/hilarious. I can confess to you—on a plane from Atlanta to St. Louis last week I had a serious moment of having no idea where I was, and I could not feel my fingers. Weird. But, truth be told, it makes a good story, right? Then from Boston to Indianapolis we had an emergency landing, which was terrifyingly NOT fun, but everything turned out fine. And, truth be told, in retrospect it makes a good story. Thank goodness. This weekend—with the only travel by car and imagination—I spent at Crime Bake, the wonderful treasure of a crime fiction conference. On a panel with Guest of Honor Craig Johnson (LONG LIVE LONGMIRE! ), we talked all about storytelling. Because of course, that’s what we all do. And those who read are just as involved with story telling, right? And now I have two exciting things to share. Both about storytelling. Second, I had an especially profound experience. Last week, sitting in the Chicago airport waiting area (you can see how my life has been), with my earbuds in, I clicked "play" on the audiobook of TRUTH BE TOLD. Wow. And again, it made me think about storytelling. Tell me a story. How many times have you said that? How many times have you heard that? From the moment we understand what storytelling means, having someone say "Once upon a time" can transport you to a new world. And it didn't even matter than my plane was delayed. On that audiobook, I heard my story come to life. I almost burst into tears. The banker turned Robin Hood who manipulates mortgage records. The skeevy guy who confesses to the unsolved Lilac Sunday murder. Reporter Jane Ryland on the trail of murder victims in foreclosed homes. And Detective Jake Brogan working to solve the case that's baffled Boston police for 20 years. The reporter who makes stuff up. It's all fully realized though the amazing voice of Xe Sands, who reads TRUTH BE TOLD so brilliantly on Macmillan Audio. From the very beginning, when Jane says, "I know it's legal, but it's terrible..." it's exactly the way I heard the book in my head as I was writing it. But—very important, writers!--here’s what I learned from it. I learned a different way of writing from this different way of reading. When you "read” an audiobook, it’s very difficult to go back and check on a fact or a character or an action. Right? You either get it, or you don’t. And if you don’t, you’re lost. And you give up. On to the next book. That was a life-changing realization for me. When you hear your book out loud, it shines a spotlight on the parts that don’t make sense, on the parts where the reader is confused, on the parts that lack clarity in time and space and geography. When I start my revisions of my new Jane and Jake book next week—it's called WHAT YOU SEE, and you’ll hear more about that soon!—I’m going to keep in mind the lessons of the audiobook. At the beginning of every scene, I must ground the reader. Make sure they’re on the train and safely seated before the scene leaves the station. And Darling Reds—do you “read” audio books? Let me know in the comments! What makes you love them—or not? A fabulous prize to one lucky commenter. And with much love gratitude and admiration to our veterans. PS: As I said, I'm on tour! Click here to see if I'll be in your city! Yes to audiobooks, but never before I've read the book. I listen when I am driving to or from work [it's about thirty-five miles one way]; mostly I like them because I always discover something new, something that "didn't register" when I read the book or when I listened to the audiobook earlier. But for the same reason that I do not like condensed books, I do not like abridged audiobooks. OH, I SO agree! Abridged audiobooks--what a terrible idea. YOU can always tell, and it's always baffling. So great to see you at Crimebake, Hank. For a woman who's been jetting all over the country, you looked amazing! Hank! Oh my gosh, when I listened to Xe Sands, I heard you! I think she must have studied the way you speak. I love her slow, sure voice. I just watched a few minutes of Paula Zahn. So natural, and full of poise. There is definitely a talent to reading books on tape, and as an auditory learner I love it! My critique partner and I read our chapters to each other over the phone. I assure you it never sounded like this. Congratulations on Library Journal's Best book of 2014. One more thing about audio books. I too, didn't think I would enjoy them. But my daughter and I took a trip from Seattle to Colorado Springs and listened to Daniel Silva. The time just flew. Talk about escapism from a horrible road trip. Congrats on the Library Journal, Hank! I'm also not a big audiobook person. My problem is that I hear a very definite voice and when the audio doesn't match that voice, well, no thanks. The best one I've heard, though, is John Cleese doing The Screwtape Letters - he totally nailed it! But I can also see your point about grounding. Yes, without the ability to go back, without the visual, if you lose your reader you're done for. Something to look at as I go through final revisions. I listen to the J.D. Robb "In Death" audio books because the woman who reads them gives Roarke a great Irish brogue. On road trips, I read to a friend. She gets the audio book experience; I get thirsty. Abridged has always baffled me. Why not just read the Cliff Notes? I had a serious parent-principal run in when my children were in school, and the reading list included abridged versions of classics. I don't listen to many audio books, but my husband does all the time on his commute. Truth Be Told is on the deck soon. I attend a lot of readings--poetry and literary. Hearing a work is a different experience from reading it. I have attended readings where I was meh about the book, but the author gave such a passionate reading, I bought the book. Which is not the same as listening to an audio book, so I guess I'm just babbling! Can't wait to listen to this! Congrats on all fronts, Hank. And I agree, never abridged, please. I can't wait to have my own epiphany listening to my first book that's coming out in audio... stay tuned! Yes, I agree..when the book is good, it's like watching movie in your head. Jonathan and I once listed to Les Miserables (the book, not the musical) in the car, and it was so good, when we arrived back home, we sat in the driveway so we could hear the end. When they are bad--yeesh. When a person is reading a bad book out loud, EVERY mistake and repetition is magnified. We listened to one book--which will remain nameless--where the author used the word "pausing" a billion times. As in: He said, pausing. After a while, that was the fun,counting how many times the author used the same word. Karen in OHI love a good audiobook for a long trip. A friend who lives in New Orleans drives up to Buffalo twice a year to take her turn with her elderly parents. She often stops to spend a day or two with us in Cincinnati, and she and I swap audiobooks. I have found some great new-to-me authors this way, and so has she. She almost sounds like you, Hank! I can pretend you are reading the book. Yes, to audiobooks on long trips or if I'm stuck at home with a cold. Truth be told, I predicted a lot of good things for Truth Be Told - remember?! Best Yet! I loved it to the moon and back. Congratulations on the Library Journal recognition. So great!!! I don't know why I can't seem to get into audio books. I want to. And I have tried. I find my mind was wandered off and I've missed a lot. These are excellent points about losing a reader if things are not clear. Fingers crossed, Hank, that one of these days you'll have Malaprop's in Asheville, NC and Park Road Books in Charlotte on your tour. Lucy, you made me laugh out loud about feeling as though you had Bill Clinton in the car with you - I love that! Never really been an audiobook person -- like Terri, I really like the visual -- but Hank's seems like a perfect place to start! Audio books maybe when I can no longer read print. I think of getting books for my Aunt through Books for the Blind and it puts me off at this time. Yes, Susan, and we were both crying! Or Gram? Think of them as radio! I always have an audiobook on in the car, usually an old favorite, but sometimes one I haven't read. I look for readers as well as authors. Barbara Rosenblat is wonderful. But I can't stand listening to books I've written. So far the only titles out there are the non-mystery historical novels I wrote as Kate Emerson and the reader is well reviewed, but I can't get past the first couple of minutes on any of them. Congrats again! TBT is so terrific. I used to listen to audiobooks when I worked and my commute was about 150 miles per day. Couldn't have done it without them, gave me back some free time I was losing in the car. And I never thought of it before, but you are so right about the need for the book to be clear if it's going to a good audiobook. If I had to "rewind" more than a couple of times (and I'm old, in the beginning it was rewind because they were cassette tapes) I would give up because it was too hard to keep track of the story. At first I didn't like it when the reader did voices, and sometimes the author isn't the best reader, but if the story is good it will draw you in however you are experiencing it. One very famous author though - needs to write longer chapters if he wants his books read. Really breaks up the flow when every 90 seconds you hear "Chapter x." And grounding is so important. I often tell authors I work with that they need to ground scenes. Give a time element. Make sure the reader can easily tell who's talking, where they are, etc. There's one author I love, but I won't listen to her books anymore--I'll only read them--because in one of them, she referred to several of the characters more often with tags than names: the UPS guy, etc. And then, when we reached the end of the book and the killer was revealed, she called him by first name. Well, I'm bad with names to begin with, but in this case especially, it was terrible because I'd learned the characters by their tags. Who the heck isJohn? I screamed. Was he the UPS guy? I eventually figured it out, but it took the equivalent of several pages. Very frustrating. Grandma Cootie--that is SO interesting about the Chapter headings! I NEVER thought about that. Very very important. And I never rewind. It's a huge pain, and in the car, impossible. I'm more likely to give up than rewind. Barb, I just burst out laughing at "hearing" you yell "Who the heck is John?" But a very good lesson, huh? You are so right about the "reader" getting lost and frustrated like that. Some how audiobooks don't bother me as much as ebooks. I guess it's my expectation that when I am reading I should be able to flip back and check a detail, but when I'm listening I more likely just go with the flow. When we travel to Maine via Boston airport in our rental car, we are entertained by audiobooks. Years back we read aloud to each other. Now a pro can do it for us! At present I a reading 2 physical books and listening to another in my car. I love audiobooks, but I don't get a chance to listen to them often. I pretty much reserve them for car trips, usually by myself. My husband has started listening to audiobooks on his long drives home, and we like to listen to them together, too. However, it's usually a book he's picked out, which means it's usually a political thriller or spy thriller. My wonderful mysteries I keep to myself, but I don't mind because I end up reading/listening to material I wouldn't otherwise pick up when I'm with hubby. It's seldom that I listen to an entire audiobook. My practice has been to listen to an audiobook to see if I'm going to like the book and then continue it in print. However, there are some audio versions that are just so well done that it's tempting to listen to it all, and I have done a few that way. Amy Tan's Saving Fish from Drowning with Tan as the narrator reading it is one I had to listen to in its entirety. Not all authors make good voices for their audiobooks, but there are some wonderful ones. Neil Gaiman is another. I am slowly changing my attitude about only starting a book out in audio, and there are some I have earmarked as future listens. I do, however, still want a print copy of my favorite books. Oh, Joan, I hate abridged audiobooks. I once got caught listening to a really good book and discovering after that it was abridged. I always check carefully now. No abridged audiobooks! Hank, I loved listening to the beginning of Truth Be Told in audio this morning. Ze does a great job, and it is a bit of magic to hear the novel come to life that way. That you were tuned in to the way readers received it just further proves your dedication to your writing and your readers. Also, congratulations on the fantastic honor of being a Library Journal Best Book of 2014. Woohoo! Thank you, Kathy, Whoo hoo is right! And yes, I think the taste of TBT --or any book--that you get from listening to a chapter on audio is such a fun idea! Even if you don't hear the whole book, you can decide whether you want to "read" the rest of it in the way of your choice! I also asked her not to give anyone a BOston accent, since that is SO, um, problematic. And she told me that's exactly what she'd decided, too! I love listening to audiobooks during long car rides--that's the best. Otherwise, I prefer good old books. I love your revelation, Hank. That makes so much sense. I had a teacher once (Elizabeth George, actually) who always said, Orient the reader, orient the reader. Love that imagery: "Make sure they’re on the train and safely seated before the scene leaves the station." Re: audiobooks. Several years ago, I really, really wanted to read the Thursday Next books by Jasper Fforde; the first book is THE EYRE AFFAIR. I tried multiple times. Then I checked out the audiobook from the library. That Monty Python-esque humor just zinged when it was audio rather than my internal voice. A well-performed audio can truly enhance the "reading" experience. On the other hand, a voice that *you as the reader* feel doesn't capture what you thought it should be, can ruin the book/series for you. Happily, pluses outnumber the negatives. I greatly admire the talent of the good audiobook readers/performers. They are amazing at with just their own voice create different characters, to act without acting. I had the wonderful pleasure of meeting Hank at a book signing in Los Angeles. What a treat. Hank is warm and engaging.I will treasure my signed copy of Truth Be Told forever! Several of my books have been published in audio form, but I'm afraid to listen to them, because I worry that the voice on the recording will not match the voice I hear in my head. The Irish have a long tradition of itinerant storytellers, called seanchai. At each small village or home, they were welcomed with a warm meal, a bed for the night, and an eager audience. They were respected, and their visits were eagerly anticipated. What more could we ask for? And yeah, I have heard books that simply did not match the voice n my head. That's exactly why I'm so thrilled with TBT. Heading for the airport! On the way to Bouchercon..see you there..and more to come when I arrive! I will check in via phone, of course, cannot wait to hear what you are all saying! And trying to decide on the prize. I record audiobooks more than read them (for the Canadian National Institute for the Blind) and I love it. We avoid using accents (except what's written right into the dialogue) and try to make it clear who's speaking. No falsettos for men reading women (which I've heard on commercial books -- yikes!) No speech impediements for children. Straight reading, with tone and heart. car. Alas, I'm not very motivated to figure out another way. Give me text, filtered through the inside of my own head, any day. This is very interesting, Hank. I must confess, I've never listened to my audiobooks. I've been afraid the narrator's voice will become the voice in my head when inhabit my first person narrator, and that I'll lose some valuable connection to her. But you've caused me to rethink. In my reading life, I'm not an audiobook person. I'm just not a strong aural person. My mind is too likely to drift. But this is an important part of our market, and important to serve well. So your insights are quite valuable. Major fan of audio books. Happily, my library gets mainly unabridged recordings. I credit them with me writing mystery: that's what I'd been listening to, so when fiction erupted, naturally it took that form! You've put a whole new dimension on framing a scene. Makes perfect sense. Have a great rest of tour! Love audiobooks -- it's pretty much all I listen to in the car. Right now -- Michael Connolly's "City of Bones." I frequently backtrack -- usually not because of a flaw in the writing but when my mind drifts. I just started reading with my eyes -- "Truth Be Told" last night -- plan to savor and not rush your latest masterpiece! "I have never 'read' an audio book." Well, I should be embarrassed to admit this, but I just today, because of this particular post, started listening to my own book on audible.com. And I'm thrilled!!!! Because there was a stipend being offered when I was in the process of looking for a narrator, I was able to get a professional narrator, who used an excellent studio producer. So, now I'm totally in love with my Whimsey all over again. Susanna Burney has narrated for Catherine Coulter, Carol Goodman, Karen White, Joann Harris, and many others. She's also the voice of a couple of video games, and has some acting credits. As I said, I got very lucky. And I listened to your snippet, Hank, and I have to agree, Xe is perfect! Apropos audiobooks: Tried it once and freaked out lest I became so engrossed in the story that I drove into a ditch. Or a semi. Or off the road. I love paper books and my Kindle, but I know "readers" who have stopped reading and only listen. 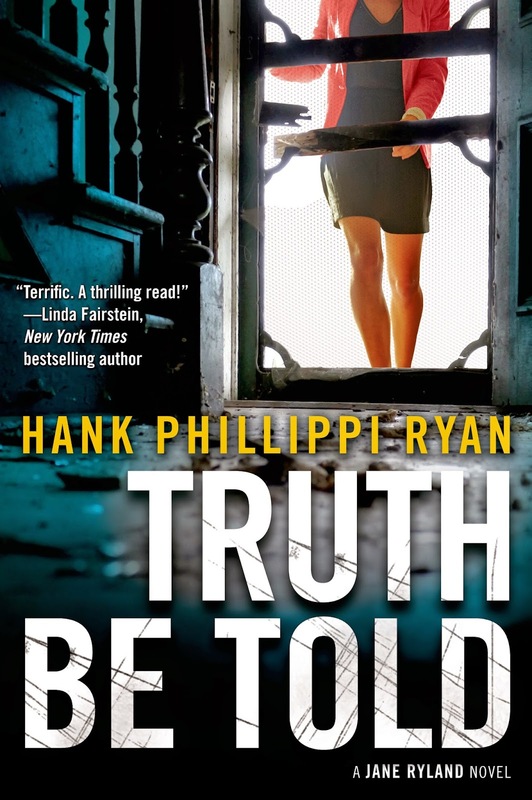 Congratulations, Hank, on the Library Journal honor. Your writing is wonderful. I often listen to audio books in the car but find I have to rewind when my mind wanders. Okay, waving like mad! According to the flight tracker thing, I am at 35,000 isn feet over Rapid City South Dakota! How fun is that? Oh, Carol Silvis, thank you! I just realized that the friend who lives in NOLA also narrates, but for Radio for the Blind. She reads magazines, newspapers, and books. But, as she says, all radio is reading for the blind. Oh, interesting, Karen in OH! Terri, good luck on book 3! Donnell, yeah, I think she sounds like me, a little, too. Which is maybe why it feels so comfortable--that's the voice of the book I heard for a year while writing it--my own! NancyM--so much fun to see you here! See you in PA very soon! I listen to audio books in the car, but usually have the book-book at home, in case I get confused or distracted and need to quickly get back on track. Your narratives, while complex, always flow clearly, at least when I read them . . . I think they'd stay clear in audio as well, but so much depends on the skill of the reader. Hank, I'm so sorry I missed this. I am primarily an audiobook reader due to my disabilities. And I thank you with my entire soul for calling it reading. I am very visual, so hearing the book allows me to see the story play out without interference by trying to manipulate the book or follow the words on the page. I do read print but in small spurts. Yes, you are right about the reading. Sometimes it is the reader, but I think most often it is the way writers sometimes leave out that "... clarity in time and space and geography." Smart chapter beginnings, I find, are not enough for hearing books. As you point out, you cannot easily check back on audiobooks. It is much easier on the special machine and digital books provided by the Recordings for the Blind and Physically Disabled. They are designed for the ability to easily negotiate the hearing book. Their major problem is an exceedingly poor selection and waiting list. Basically you get what they send you. Audible.com tries but does not come close. CDs are excellent but very expensive. Sometimes I can get the books on CD that I want from the library, but they are usually scratched and have jam and other stuff stuck to them. I do, always buy the hard copies of my favorite authors and read them slowly, but sometimes that's best. It gives me more time with my favorites. Congratulations, Hank. Well deserved! I LOVE audiobooks. My love affair began as an effort to occupy my mind while pumping a recumbent bike or other equally boring exercise equipment. Then I found them great for prepping dinner, driving, and any time I want a richer experience. Since you're gathering info I'll share that I've become a snob: if a reader is bad, that's it. There's a hotel series I stopped listening to because the voices were too similar and gravelly. Gravel worked for an elderly perp, but everyone else had a touch of it too. I made it through the first book, but by the 2nd, it just grated too much. I also get turned off by mispronunciations - c'mon reader, really? And when a reader races I stop listening - instead of a relaxing experience it becomes anxiety ridden (not the good anxiety of a good book.) A good reader, whether they do all the voices or not, whose words are clearly understood and loud enough, make my day. Btw, I often download to my phone from the library and have learned of many new authors/books as a result. A great way to discover what I want to buy. Here's to more and more audiobooks.